Jon Lester for Wil Myers? Why not? Baseball Prospectus’s ranking of the top Red Sox prospects will be revealed Thursday. Don’t know about you, but I can’t wait to see who is atop the list. It’s going to be tough choosing between Xander Bogaerts and Wil Myers. All right, so I’m being facetious, but man, isn’t this just a rumor that kind of stops you in your tracks? According to Bob Dutton, the terrific baseball writer for the Kansas City Star, the Red Sox have discussed a trade with the Royals that would send enigmatic lefthander Jon Lester to Kansas City for superb 21-year-old outfield prospect Wil Myers, who hit 37 home runs between Double A and Triple A last season. Lester turns 29 in January, owns a 162-game average of 15 wins, 9 losses, 212 innings, and a 3.76 ERA over his seven seasons, has one year at $11.625 million remaining on his contract with a $13 million team option for ’14, is coming off the worst season of his career (9-14, 4.82), and is lefthanded. His top career statistical comp is Chad Billingsley. Shields turns 32 in December, owns a 162-game average of 14 wins, 11 losses, 227 innings, and a 3.89 ERA over his seven seasons, has one year at $9 million remaining on his contract with a $12 million team option for ’14, is coming off the fourth-best year of his career (15-10, 3.52), and is righthanded. His top career statistical comp is Zack Greinke. Pretty close, right? Age and being a lefty favor Lester. Pretty much everything else suggests Shields should be the slight priority, and no, I had no idea of his similarity to Greinke either. 1. 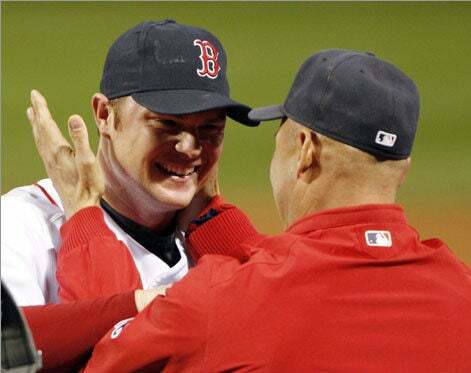 That they don’t entirely believe reuniting with John Farrell, who as the Red Sox pitching coach from 2007-10 helped Lester blossom into one of baseball’s top lefthanders, is going to help him find his past form even while he’s still in his presumed prime. Trading him might look like they’re selling low, which is rarely a good idea. But if they think what they saw last year is representative of what he’ll be going forward, they wouldn’t be selling low at all. They’d be selling before his value shriveled even more. 2. That Ben Cherington is indeed open to making a franchise-altering transaction this offseason. Dealing Lester for Myers isn’t quite equal to throwing nine figures at Josh Hamilton, but the long-term affect would be similarly earth-shaking. If you’ve been waiting for an indication that Cherington will do something big if it presents itself, this is it. 3. And perhaps most tellingly, that Cherington has full permission to remodel this franchise as he sees fit, even if it means sacrificing and ignoring the all-important sellout streak and NESN ratings and other ancillary noise. Because trading Lester, who despite his moodiness and the mess of a season he endured is still the best bet to be this team’s No. 1 starter next season, for a wonderful prospect who is yet to dig into a big league batter’s box for the first time, is as about as blunt a way as possible of confirming that, yes, the Red Sox are in full rebuilding/bridge mode. That’s not necessarily a negative development; even if the team struggles to get to .500 next season, they’re assured of being more likeable and less pathetically melodramatic than the insufferable Bobby Valentine soap opera. As much as I’ve believed in Lester over the years and recognize that bad luck (.312 BABIP, 4.11 FIP) was a factor in his lousy season, my instant reaction was to do this trade. What I don’t understand, beyond the fact that the Royals have several talented cost-controlled young offensive players, is why the Royals would trade Myers for a pitcher who savvier teams would be trying to buy at a bargain rate after his miserable season. Especially since Lester — and Shields, for that matter — has at most two years left on his deal, while Myers would be under team control for six. Quality starting pitching remains at a premium — that’s why Anibal Sanchez can ask for $90 million with a reasonable hope of getting it. But Lester’s level of quality going forward is no certain thing. I just can’t imagine the Royals ultimately pulling the trigger on this without a genuine prospect coming back in return. I know Kansas City’s priority this offseason has been to add a top starter to the rotation. They’ve acquired Ervin Santana and re-signed Jeremy Guthrie … so yeah, that vacancy remains unfulfilled. 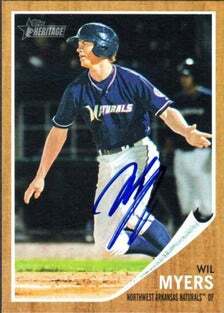 But Myers is, by any measure and opinion, one of the premier prospects in baseball. He hits, hits for power, gets on base and probably ends up in right field but wouldn’t kill the team in center. The Royals should have promoted him Sunday right after the Futures Game. Myers never did come up last year, finishing his minor league season at .314 with those 37 homers. His bat is so far advanced that he was converted from catcher to the outfield two years ago to accelerate his arrival. 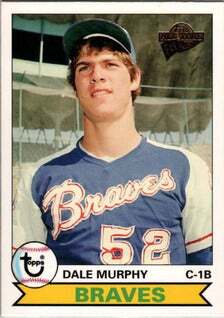 I tend to think of him as a Dale Murphy-type for that reason, but the circumstances were different, and he’s not the defensive whiz Murphy was in center. Chris Mellen, who will write the aforementioned Red Sox prospects rankings for Baseball Prospectus, told me Myers profiles as a fine right fielder who will be an above-average regular on a contending club. I’m curious to see what he Pecota projections suggest this year; last year, before his huge breakthrough, they included Sixto Lezcano and Ron Fairly. The Red Sox very likely won’t be a contending club this year, especially if they do trade Lester. But Myers, a young, productive, elite prospect with mildly concerning contact issues (140 strikeouts last year) but superb on-base skills, would very likely be a middle-of-the-order cornerstone when they are a contending club again. Even with the hovering mystery of why exactly the Royals would entertain trading such a prospect for a pitcher who has recently faltered — is there something they know that we don’t? — put me down, with slight hesitation, as someone who hopes it happens. A future with Wil Myers, Xander Bogaerts, Jackie Bradley Jr., and Will Middlebrooks at the core of the Red Sox lineup sounds much more appealing than anything we saw last summer, and anything we’re likely to see in the summer ahead.